It is clear that transportation is currently a vital activity because good transportation can help in the sale of various products and services and deliver passengers to many destinations. The Greater Mekong subregion, or GMS, comprises five countries (Cambodia, Laos, Myanmar, Thailand and Vietnam) and two provinces of China (Yunnan and Guangxi). The GMS has launched a transport project which follows the GMS Economic Cooperation Program Strategic Framework 2012–2022 [1Asian Development Bank, The Greater Mekong Subregion Economic Cooperation Program Strategic Framework 2012 - 2022., Asian Development Bank: Manila, Philippines, .]. The transport system of the GMS is an important economic driver. The Asian Development Bank [1Asian Development Bank, The Greater Mekong Subregion Economic Cooperation Program Strategic Framework 2012 - 2022., Asian Development Bank: Manila, Philippines, .] focused on the GMS transport strategy from 2006 – 2015 on land transport by road, especially between Laos and Vietnam. According to the GMS transport development policy, the East-West Corridor is one of the most important transportation development projects because it integrates and promotes the economic development of the GMS countries. The East-West Economic corridor is based on land transportation on about 1,450 km of road from the west end at the port city of Mawlamyine (Myanmar), crossing the Thai provinces of Tak to Mukdahan. After that, it crosses Savannakhet province in Laos to Quang Tri, Hue Provinces and Da Nang city in Vietnam at the east end of the route (Fig. 1 ). The east-west & central corridors [2"Siamturakij, 12 years NEDA", Available online: https://www.siamturakij.com/news/8627-12Accessed on 18 April 2018] map. Number of international passengers entering laos at Lao border gates. The East-West Corridor development project has accelerated road development, and international buses have become a popular choice for passengers from many countries who cross border gates on international buses. In particular, at the Laos and Vietnam borders, there are a lot of passengers from Vietnam and Thailand. In addition, the East-West Corridor development project in Laos and Vietnam, along with the road expansion of the Central Corridor, link Laos and Vietnam because the Central Corridor is a major gateway which links Vientiane and Hanoi by the Nam Phao (Laos) – Cau Treo (Vietnam) border gates. This policy is a practical transportation project which is part of the GMS Economic Cooperation Program Strategic Framework 2012–2022. It is a developmental policy that is intended to decrease the time spent at the transport crossing at the border gates in the Central Corridor. In addition, on these Central Corridor routes, passengers can travel the short distance between Thailand and Vietnam while travelers from Lao need to cross at the Na Phao (Laos) – Cha Lo (Vietnam) border gates. Table 1 shows the number of international passengers entering through the Nam Phao border gates. In total, there were 245,793 and 207,546 passengers in 2015 and 2016, respectively. In 2015 and 2016, the total number of passengers who passed through the Dansavanh border gates was 328,830 and 226,167, respectively. This indicates that the passenger number at the two border gates decreased. In contrast, the number of passengers passing through the Na Pao border gate (Khammoun Province, Laos) grew from 2015 to 2016. 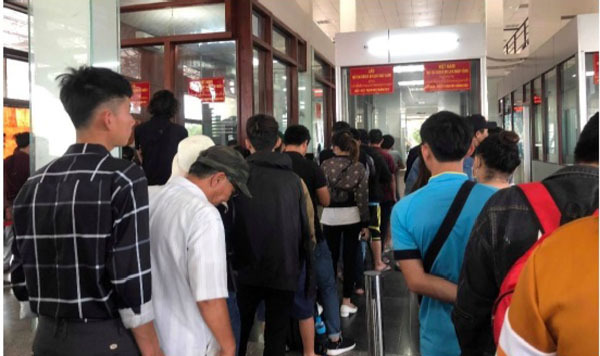 The number of passengers who passed through the Cha Lo border gate (Vietnam) to Laos to link to Thailand increased from 169,446 to 173,082, which is an increase of 2.08 percent. The number of Thai and other passengers (excluding Vietnamese) also grew. In addition, based on the statistics shown in Table 1, Vietnam and Laos attempted to increase the number of regional and international passengers. In 2017, the governments of Laos and Vietnam also agreed to improve the immigration and customs processes at the two pairs of border gates at Cha Lo – Na Phao, and Cau Treo – Nam Phao [3Voice of Vietnam, "Vietnam, Laos to Speed up Hanoi-Vientiane Expressway project", Available online: http://english.vov.vn/society/vietnam-laos-to-speed-up-hanoivientiane-expressway-project-344977.vovAccessed on 3 August 2017]. Focusing on the immigration processes and the great distances for land transport passengers traveling on international buses in Laos and Vietnam, which are parts of the Central & East-West Corridors, all international buses have to cross three pairs of border gates. As shown in Fig. 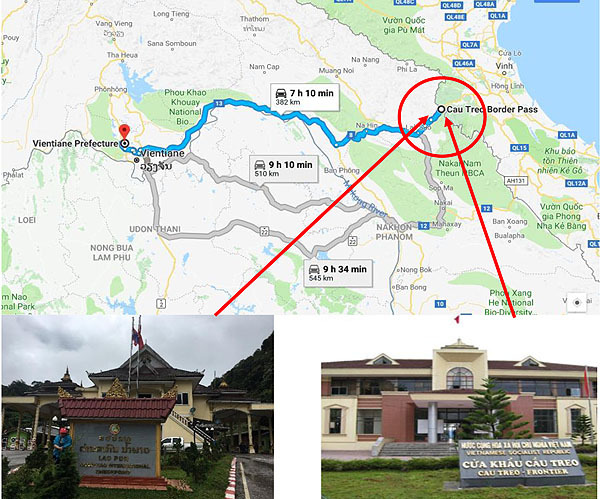 (2 ), area A is the Cau Treo (Vietnam) and Nam Phao (Laos) border gates; area B is the Cha Lo (Vietnam) and Na Pao (Laos) border gates while the Lao Bao (Vietnam) and Dansavanh (Laos) border gates are area C. Nowadays, these three areas have become major international gates for road transportation because these border gates process local and international passengers from many countries who visit the GMS countries. Nevertheless, these three areas also have barriers and threats to the international passenger transport process. Furthermore, each GMS country and the Asian Development Bank promote the GMS as a single destination through road transport [6S. Nonthapot, and H.H. Lean, "International tourism market analysis in the Greater Mekong Sub-Region: A panel data approach", Pertanika J. Soc. Sci. Humanit., vol. 23, no. 4, pp. 945-966.]. There are many previous studies about international passenger transportation in the GMS countries. However, the study of the process of land passenger transportation by international bus between Laos and Vietnam border gates based on the East-West Corridor (Area A) and the Central Corridor (Area B and C) in Laos and Vietnam has received limited attention. The Na Phao (Laos) and Cha Lo (Vietnam) border gates are particularly interesting because the number of passengers is increasing. 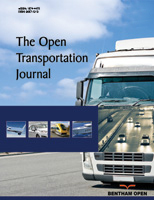 Therefore, this study proposes to fill this gap by explaining the process and time-cost of passenger transportation by international bus in these areas. The next section presents the relevant literature. After that, the research methodology is described; section 4 presents the empirical results, and the last section presents the conclusions and discussion. Transportation cost is an appropriate variable which some studies include as an explanatory variable for international passenger or tourist arrivals [8M.J. Stabler, A. Papatheororou, and M.T. Sinclair, The Economics of Tourism., 2nd edRoutledge Press: NewYork, .2nd ed]. Hence, Wattanakul and Nonthapot [9T. Wattanakul, and S. Nonthapot, "Analysis of market structure and passenger transportation demand model between Thailand and Laos: Case study of the customs house, friendship bridge, Nong Khai province", KKU Res. J., vol. 16, no. 3, pp. 292-305.] found that economic development was positively related with transportation cost, the frequency of travelling, GDP and the number of border passengers between Thailand and Laos at the first Thai-Lao Friendship Bridge in Nong Khai Province, Thailand. Nonthapot and Wattanakul [10S. Nonthapot, and T. Wattanakul, "Analysis of passenger transportation demand: Case study of the customs house, the Thai-Laos friendship bridge, Nong Khai province", J. Soc. Devel. Sci., vol. 5, no. 1, pp. 1-6. ], also revealed that tourism demand development in this region needs infrastructure to support tourism arrivals, especially in regard to the capacity of Laos because the country is the main provider of land transportation for tourism in the upper-ASAEN region. Additionally, Nonthapot and Lean [6S. Nonthapot, and H.H. Lean, "International tourism market analysis in the Greater Mekong Sub-Region: A panel data approach", Pertanika J. Soc. Sci. Humanit., vol. 23, no. 4, pp. 945-966.] also found that a high-speed train project in Laos would develop land transportation in the Indo-China countries. Additionally, the transportation sector was found to be one of the most influential sectors in the economy and mediates between tourism expansion and economic growth in the GMS [11S. Nonthapot, "Mediation between tourism contribution and economic growth in the greater mekong sub-region", Asia Pacific J. Tour. Res., vol. 21, no. 2, pp. 157-171.]. The effect of the transportation sector on the economy was confirmed by the study of Wattanakul and Nonthapot [9T. Wattanakul, and S. Nonthapot, "Analysis of market structure and passenger transportation demand model between Thailand and Laos: Case study of the customs house, friendship bridge, Nong Khai province", KKU Res. J., vol. 16, no. 3, pp. 292-305. ]; Nonthapot and Lean [6S. Nonthapot, and H.H. Lean, "International tourism market analysis in the Greater Mekong Sub-Region: A panel data approach", Pertanika J. Soc. Sci. Humanit., vol. 23, no. 4, pp. 945-966.] which determined the impact of the size of international tourist supply. However, Kampan [12P. Kampan, "Strategic development of ASEAN logistics infrastructure", Open Transplant. J., vol. 11, pp. 61-80.] explained that highway border links are few and far between in the GMS countries, which forces traffic through major destinations. Cambodia, however, is upgrading highway border crossings between Vietnam, Laos, and Thailand, and Vietnam is also expanding the highway which directly links to Laos via the Cua Treo border gate. These projects are part of the strategy for GMS logistics development for the benefit of the regional economy. Transportation indirectly contributes to the regional economy and the overall socio-economic profile of all contributing regions that are connected by the transportation routes. Hensher [13D.A. Hensher, "Keeping the debate informed on reforms in land passenger transport: The influence of the thredbo series", Transp. Rev., vol. 34, no. 6, pp. 671-673. [http://dx.doi.org/10.1080/01441647.2014.987472] ] suggested the reform of land passenger transport in the United Kingdom can be timesaving. Land transportation can also help in improving the efficiency of regional transport services [14L.A.F.L. Gómez, "Autoridades de transporte terrestre de pasajeros en el contexto de la conurbación: una necesaria visión regional de la actividad en el ejercicio de las competencias", Revista Derecho del Estado, vol. 35, pp. 65-100. [http://dx.doi.org/10.18601/01229893.n35.04] ] and in reducing travel time, which increases the marginal product of labour in the economic system [15D.A. Hensher, and B. Wang, "Productivity foregone and leisure time corrections of the value of business travel time savings for land passenger transport in Australia", Road Transp. Res., vol. 25, no. 2, pp. 15-29.]. However, although the Greater Mekong subregion countries have different forms of government, they work together in ASEAN. The previous study of regional transport focused on economic theories and the role of transportation, in particular, the role of international passengers in helping economic expansion in the GMS countries, especially in Laos and Vietnam. 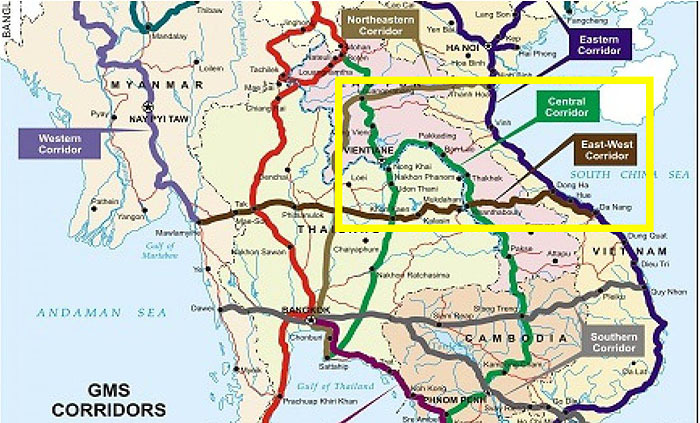 Nevertheless, land transportation by road by international bus via Laos and Vietnamese border gates is also necessary for local communities, based on the East-West Corridor (Area A) and the Central Corridor (Areas B and C). The conceptual framework of this study is presented in Fig. (3 ). Three pairs of border gates between Vietnam & Laos. The routes are surveyed in the first step. Next, the land transportation passenger service entrepreneurs in Vietnam and Laos are contacted. The researcher employs semi-structured interviews for the international passenger transport companies and international land passengers. Semi-structured interview questions are sent to five experts to establish content validity. Moreover, in the analysis, observation of the immigration process is conducted at the border crossings. The qualitative analysis is employed to explain the quantitative data. The quantitative data also include the routes and processes of passenger transportation by international bus in these areas. The data are acquired by observation. The mean for the time spent in the immigration process is then calculated. The interview data will be examined to determine the cause and effect relationships. The problems of bus companies and passengers are then analyzed by employing qualitative data analysis. Cau Treo or Keo Nue border gate is located in Ha Tinh Province, Vietnam. This border is open every day between 07.00 am and 18.00 pm. Passengers from Vietnam who visit Bolikhamxay Province and Vientiane (Laos) by road need to cross at this border crossing (Fig. 4 ). The Lao border crossing that is opposite the Cau Treo border is Nam Phao (Bolikhamxay Province, Laos). In order to complete the passenger process between the two borders, all passengers have to cross the two border gates on foot. 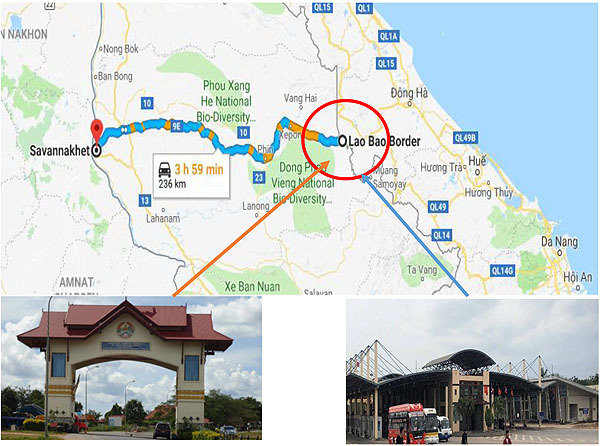 Buses from Vietnam travel to Hong Linh Town (Ha Tinh Province), then along highway 8, direct to Vientiane (Laos) by crossing the Cua Treo border gate and the Nam Phao border gate. Buses from Laos travel from Bolikhamxay Province (Laos) to Hong Linh Town (Ha Tinh Province), then along highway 1, direct to Hanoi or Ha Tinh Province of Vietnam by crossing the Nam Phao and the Cua Treo border gates. Information in regard to the international buses traveling between Vietnam and Laos via the Cua Treo Border – Nam Phao border gates is shown in Table 2. Cha Lo border gate is located in Quang Binh Province, Vietnam. This border is open every day between 07.00 am and 18.00 pm. Most passengers are Vietnamese especially from the Ha Tinh and Quang Binh provinces. Passengers who travel to visit Khammoun Province (Laos) and Nakhom Phanom Province in Thailand by road have to cross the Cha Lo border gate in Vietnam and the Na Pao border gate in Laos. The distance from the Cha Lo Border gates to Thailand across the Khammoun Province of Laos is about 176 km, which takes about 4 hours by car (Fig. 5 ). In order to complete the passenger process between the two border gates, the passengers have crossed the two border gates on foot. Buses from Vietnam travel on highway number 12, direct to Thakhek City (Laos) before entering Thailand. International buses from Laos travel from Thakhek City (Laos) to Vietnam by road number AH131 and by highway number AH1 in Vietnam, from where they can travel either to Ha Tinh or Quang Binh provinces. The information on international buses from Vietnam and Laos via the Na Pao border – Cha Lo border gates are shown in Table 3.
International buses from Vietnam and Laos via the Cua Treo border – Nam Phao border gates. International Buses from Vietnam and Laos via the Cua Treo Border – Nam Phao Border Gates (continue). Route of international buses via the Cua Treo border–Nam Phao border gates (Google Map, [7"Google Map, Search Google Map", Available online: https://www. google. co. th/ maps/ @ 17. 7807083,105.1028996,9z?hl=enAccessed on 10 April 2018]). Route of international buses via the Cha Lo–Na Phao border Gates (Google Map, [7"Google Map, Search Google Map", Available online: https://www. google. co. th/ maps/ @ 17. 7807083,105.1028996,9z?hl=enAccessed on 10 April 2018]). Route of international buses via the Lao Bao – Dansavanh border gates Google Map, [7"Google Map, Search Google Map", Available online: https://www. google. co. th/ maps/ @ 17. 7807083,105.1028996,9z?hl=enAccessed on 10 April 2018]. The Lao Bao border gate is located in Quang Tri Province (Vietnam). The border is open every day between 07.00 am and 22.00 pm. The passengers from Vietnam, especially from Qung Tri, Hue Provinces and Da Nang City, prefer to enter through Savannakhet province (Laos) to Thailand by bus. Passengers have to cross at the Lao Bao border and Dansavanh border gates. The Dansavanh border gate is also the principal entry point into Laos for passengers from Central Vietnam. Fig. (6 ) presents the distance from the Lao Bao border gate to Savannakhet Municipality, which is about 236 km. All passengers spend 4-5 hrs traveling on road number 9E in Laos. All passengers have to walk between the two border gates on foot, as in areas A and B. Buses from Vietnam travel to Savannakhet Province (Laos). Passengers can then select various destinations in Laos or connect to Mukdahan Province (Thailand) by bus. Buses from Laos travel from Vientiane or Savannakhet Province to Vietnam by road number AH16 and highway number AH1 in Vietnam to Dong Ha City. From highway number 1, passengers can continue to the Southern provinces of Vietnam via the East-West corridor to Hue Province and Da Nang City. The information on international buses from Vietnam and Laos via the Lao Bao border – Dansavanh border gates is shown in Table 4. The two border gates use a single window system which provides a one-stop service at immigration. If a passenger wants to enter Vietnam, they have to stop at the Lao Bao border gate. They give their passports to Lao immigration staff to complete Lao procedures, and then they are passed on to Vietnamese immigration staff (Fig. 7 ). If passengers come from Vietnam through the Dansavanh border gates, the steps are similar to the Lao Bao border gate. From the interviews, the passengers stated that the immigration process was reduced by about 30 - 60 minutes, depending on the number of passengers. Evaluating the time spent at each border gate in Laos and Vietnam has limitations because there are many international buses that arrive at the border gate at night before the border gate opens, such as the Vientiane – Hanoi route. International buses arrive 2-3 hours before the Nam Phao border gate opens. Sometimes, passengers sleep for 2 hrs in a hostel or guesthouse. Then, at about 6.00 am, the international bus staff members call the passengers to rejoin the bus to travel to the borders. Table 5 presents the results of the time spent by passengers at each pair of border crossings. 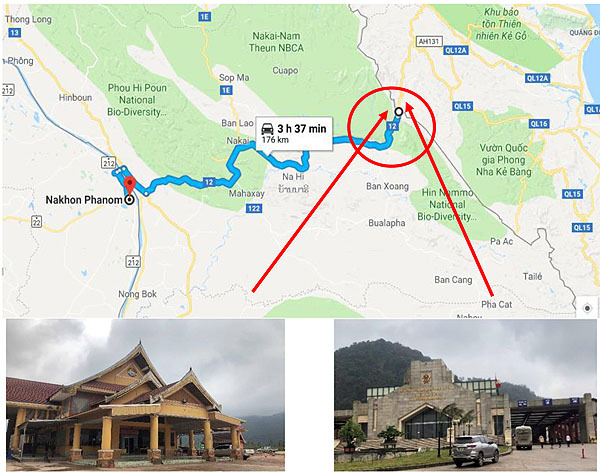 The results reveal that the time spent at Na Pao (Laos) – Cha Lo (Vietnam) border gates, or area B, is less than in areas A and C. Moreover, if passengers travel from Da Nang City (Vietnam) to Vientiane, the bus will arrive at the border gate checkpoint at approximately 4.00 – 4.30 am. The passengers need to wait on the bus or at a food shop until the border checkpoint opens at 07.00am. International buses from Vietnam and Laos via the Cha Lo border – Na Phao border gates. One stop service for all passengers (left is departure, right is arrival). International buses from Vietnam and Laos via the Lao Bao Border – Dansavanh Border Gates. Comparision of time spent on passengers in each area. The information system of the bus companies and the times of transportation are inefficient because the ticket system usually involves booking the ticket by phone and passengers cannot book the ticket by application. As the majority of bus passengers are Vietnamese, the entreprenuers of international bus services of Vietnamese companies aim to send international passengers from Vietnam (Hue, Quang Binh, Hatinh and Nge Anh Provinces) through Nakhon Phanom province in Thailand within one day. However, a bus has a maximum of 26 seats and cannot park at the Nakhon Phanom Bus Terminal. International buses from Vietnam must park at authorized locations such as hotels or public places in Thailand. This means a bus from Vietnam is only allowed to take tourists from Thailand. The number of international bus services on many routes cannot provide daily services. This makes planning difficult for passengers and tourists. Passengers who want to go from Danang need to contact the bus company by themselves or buy a ticket from a tour agency. As international buses on Laos-Vietnam routes park at Da Nang Bus Station, the passengers have to find out about the bus departure time from the bus company. In regard to the process and the time spent at border crossings for land passenger transportation passengers on international buses between Laos and Vietnam border gates based on the Central Corridor, the results reveal that there are many routes and bus companies that provide services to local and international passengers. The major group of passengers is Vietnamese who cross Laos to enter Thailand. From the study, it was found that a single window system at immigration checkpoints can reduce the time spent in the immigration process. Passengers and buses can also reduce the immigration checkpoint time by about 30 - 60 minutes. It is indicated that this policy can help to reduce transportation time and costs. These results are consistent with Gomez [14L.A.F.L. Gómez, "Autoridades de transporte terrestre de pasajeros en el contexto de la conurbación: una necesaria visión regional de la actividad en el ejercicio de las competencias", Revista Derecho del Estado, vol. 35, pp. 65-100. [http://dx.doi.org/10.18601/01229893.n35.04] ] and Hensher & Wang [15D.A. Hensher, and B. Wang, "Productivity foregone and leisure time corrections of the value of business travel time savings for land passenger transport in Australia", Road Transp. Res., vol. 25, no. 2, pp. 15-29. ], who found that the improvement of land passenger transport can increase productivity in the economy. However, the information system of bus companies and the times of transportation are inefficient because ticket booking is done by phone and requires numerous calls. In addition, passengers need to find out the time of bus departure. These problems indicate that the information system of bus companies needs to be improved to support the idea of a digital economy, and, if possible, online booking should be introduced for passengers. International passenger transportation by bus also contributes jobs, products and tourism expansion in this area because passengers can see and visit many places along the Central and East-West Economic corridors. Moreover, this study also supports many studies about the impact of transportation on economic expansion, such as Stabler, Papatheodorou and Sinclair, [8M.J. Stabler, A. Papatheororou, and M.T. Sinclair, The Economics of Tourism., 2nd edRoutledge Press: NewYork, .2nd ed]; Nonthapot and Wattanakul [9T. Wattanakul, and S. Nonthapot, "Analysis of market structure and passenger transportation demand model between Thailand and Laos: Case study of the customs house, friendship bridge, Nong Khai province", KKU Res. J., vol. 16, no. 3, pp. 292-305.] and Nonthapot [11S. Nonthapot, "Mediation between tourism contribution and economic growth in the greater mekong sub-region", Asia Pacific J. Tour. Res., vol. 21, no. 2, pp. 157-171. ], which indicate that transportation indirectly contributes to the regional economy. 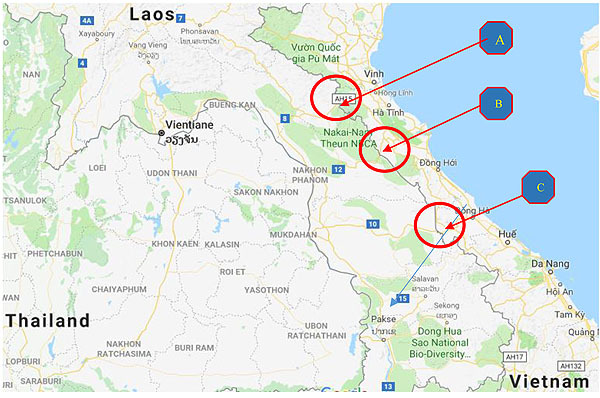 The study aimed to investigate the process and the time spent at border crossings for land passenger transportation passengers on international buses between Laos and Vietnam border gates based on the Central Corridor (area A: Cau Treo (Vietnam) – Nam Phao (Laos), B: Cha Lo (Vietnam) – Na Phao (Laos) border gates) and the East-West Corridor (area C: Lao Bao (Vietnam) – Dansavanh (Laos) border gates). Semi-structured interviews with international passenger transport companies and international land passengers were employed and observations of the immigration process were conducted. The largest group of passengers is Vietnamese who cross Laos to enter Thailand. International buses cross the Cha Lo and the Na Pao border gates more quickly than the other pair of border gates. Passengers who come from Vientiane or Hanoi often need to wait for the border gates to open such as in areas A and C. In addition, bus services need to be improved because international bus services on many routes cannot be provided daily. Based on the results, the governments of Laos, Vietnam and Thailand should focus on integrating transportation policy. For example, 1) passengers could get one bus from Vietnam to Thailand (or vice versa) within one day starting from the Ha Tinh Province of Vietnam or Nakhon Phanom in Thailand 2) because the number of seats on each bus is different, relevant organizations or agencies should make an agreement about international passenger transport by using intermodal transport or mixed-mode communiting under matching for each international bus on long routes. Moreover, each GMS country should make policy to reduce the time at immigration checkpoints such as by employing a single window system in order to support economic cooperation in this region. This study was supported by a grant from the National Research Council of Thailand and Khon Kaen University, Division of Research Administration. I would extend special thanks for Ha Tinh University, Vietnam and International Affairs Division of Khon Kaen University. Asian Development Bank, The Greater Mekong Subregion Economic Cooperation Program Strategic Framework 2012 - 2022., Asian Development Bank: Manila, Philippines, . S. Nonthapot, and H.H. Lean, "International tourism market analysis in the Greater Mekong Sub-Region: A panel data approach", Pertanika J. Soc. Sci. Humanit., vol. 23, no. 4, pp. 945-966. T. Wattanakul, and S. Nonthapot, "Analysis of market structure and passenger transportation demand model between Thailand and Laos: Case study of the customs house, friendship bridge, Nong Khai province", KKU Res. J., vol. 16, no. 3, pp. 292-305. S. Nonthapot, and T. Wattanakul, "Analysis of passenger transportation demand: Case study of the customs house, the Thai-Laos friendship bridge, Nong Khai province", J. Soc. Devel. Sci., vol. 5, no. 1, pp. 1-6. S. Nonthapot, "Mediation between tourism contribution and economic growth in the greater mekong sub-region", Asia Pacific J. Tour. Res., vol. 21, no. 2, pp. 157-171. P. Kampan, "Strategic development of ASEAN logistics infrastructure", Open Transplant. J., vol. 11, pp. 61-80. D.A. Hensher, and B. Wang, "Productivity foregone and leisure time corrections of the value of business travel time savings for land passenger transport in Australia", Road Transp. Res., vol. 25, no. 2, pp. 15-29.